Every other year the Maryland mediation and conflict resolution community gathers at the Maryland Mediators Convention. This year it will be held December 7, 2018 in Annapolis, MD. 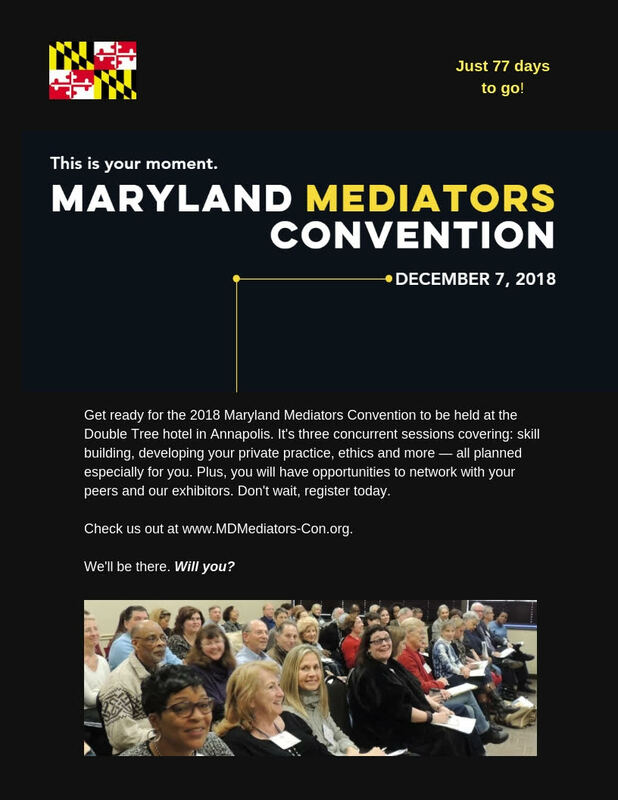 If you are a mediator (even if not in Maryland!) or a conflict resolution graduate student, this is an excellent opportunity to meet professionals in the field, network, and engage in continuing education.